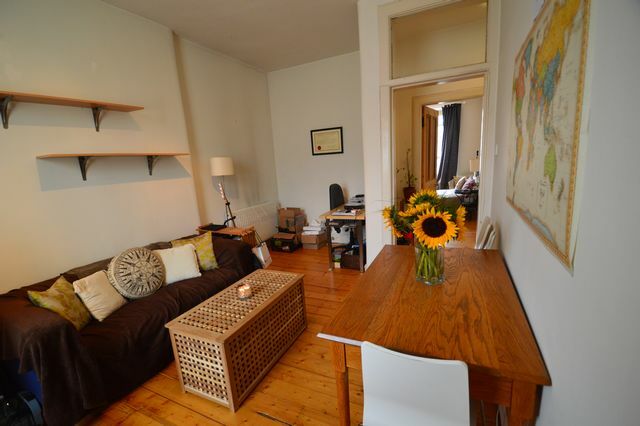 FANTASTIC traditional one bedroom property in central Edinburgh in great condition. Property comprises large well presented living room, with stripped floorboards and contemporary furniture with a nautral decor scheme. There is a well set up kitchen, with all appliances and nice decoration with red tile splash back. The bedroom is a great size, fresh and bright with good furniture. Property benefits from Gas central heating. Located next to Meadowbank stadium, there are fantastic links into town and out towards East Lothian. A must see property. Landlord Registration: 56891/230/30230 EPC Pending.